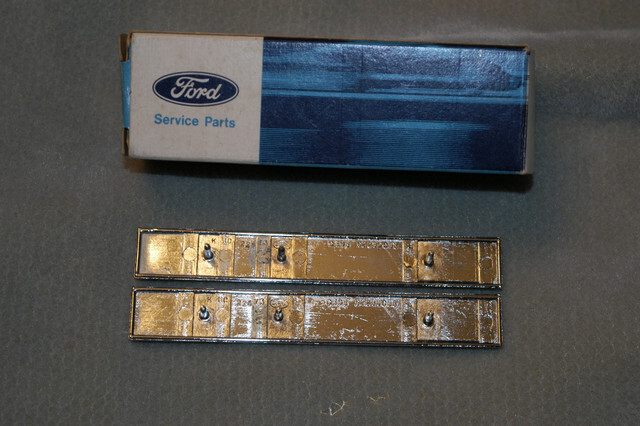 I was going through closet making pile for Goodwill and found a box that had bunch of Ford parts. 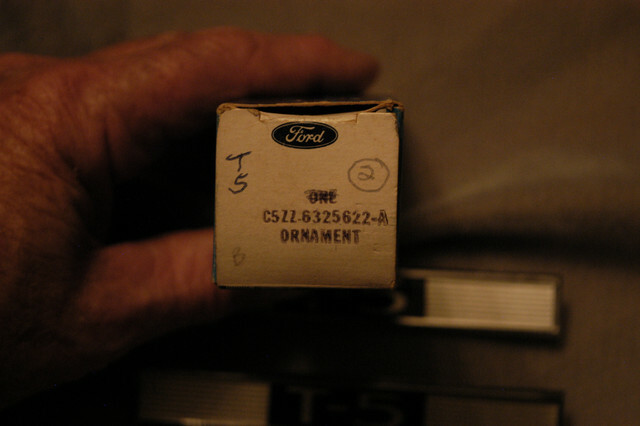 There was a box that had two NOS 1965 1966 T-5 fender emblems. I found them at a swap meet in Tenn back in the 70's the guy did not know what they were. I bought three sets and sold a friend a set for his Fastback 65 T-5 that I painted for him. They went to another style in 67 took the GT fender emblem and put T-5 in it. I have not found the two T-5 emblems I have for the 71 - 73 that goes on the center dash. I can remember putting in an envelope but cannot find where I put them, lol. 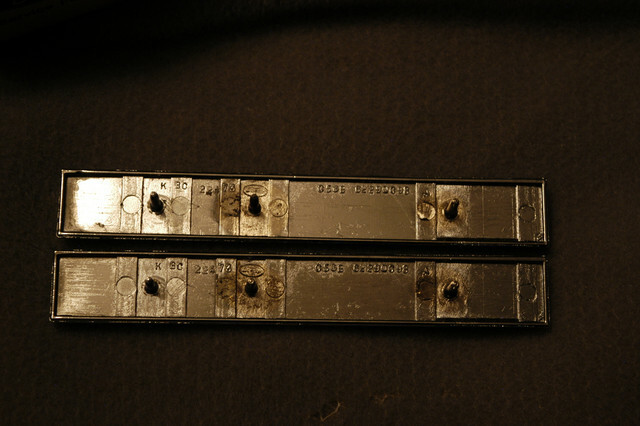 The 65 / 66 was made using the Comet 202 quarter panel badge and putting the T-5 sticker in it. Probably worth some coins to someone. I will put in garage and when I die they will throw away. Just some Mustang trivia to keep it alive for future. 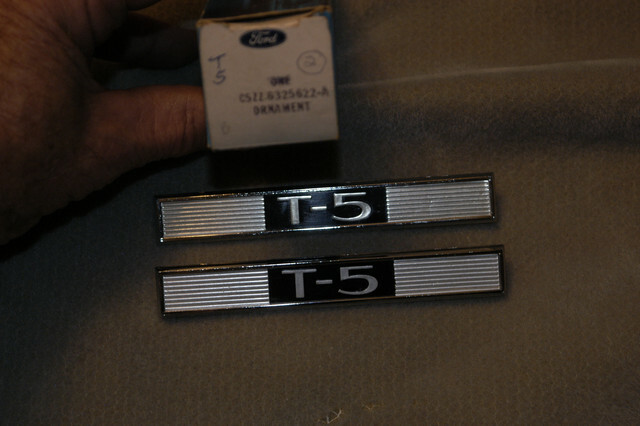 I have a 73 T5 Mach 1 Q code and finally found the T5 fender badges but havent heard of dash badges. Minde doesnt seem to have one either. Do you have a picture of those. Here is my Marti Report in case you are interested. If your car had gauges you would not have had the T-5 Dash emblem. It was above radio on cars without the gauges where it says Mustang said T-5. I have never got Marti for Q code T-5 in the back yard. Had ram air also with 4 speed. Ok, got it, mine has the gauges there. Still a pretty rare car with nice options. Trying to get it registered now, still a bit tricky, previous owner shortened the springs, installed a very loud exhaust system and overdid it with the rear wheels but getting there. 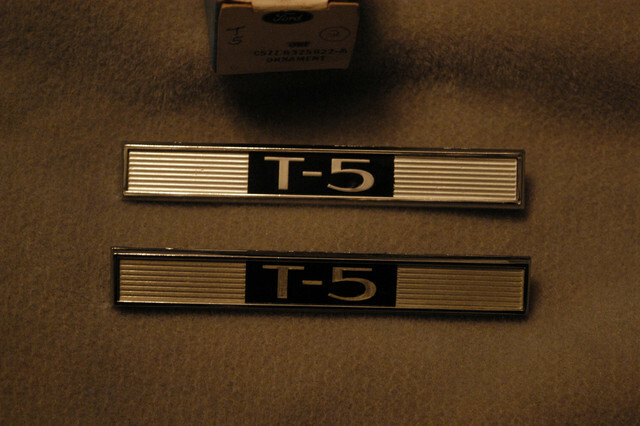 Do you have any spare side T5 badges, only have obe, the other got lost.